The Studio has a spacious, airy open plan layout and sleeps 4 in 2 ensuite bedrooms. It is situated in the heart of Kinblethmont Estate next to Kinblethmont House and has views out over the specimen trees of Kinblethmont gardens. It is semidetached to the Chauffeur's cottage but has its own private terrace and grassed areas. 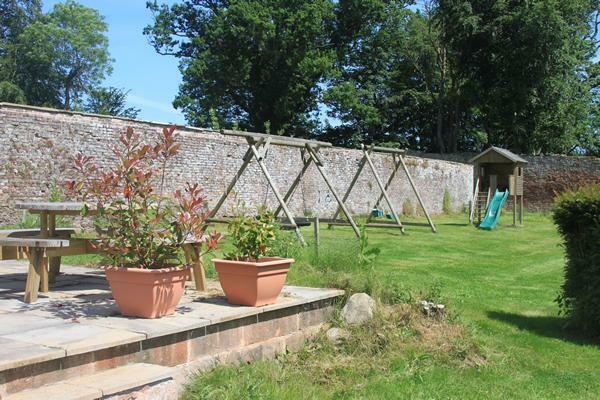 There are lots of paths on Kinblethmont Estate including one that takes you to the sheltered walled garden - a huge area for use by holiday cottage guests with children's play area, picnicing areas table tennis, outdoor games and ball play area.